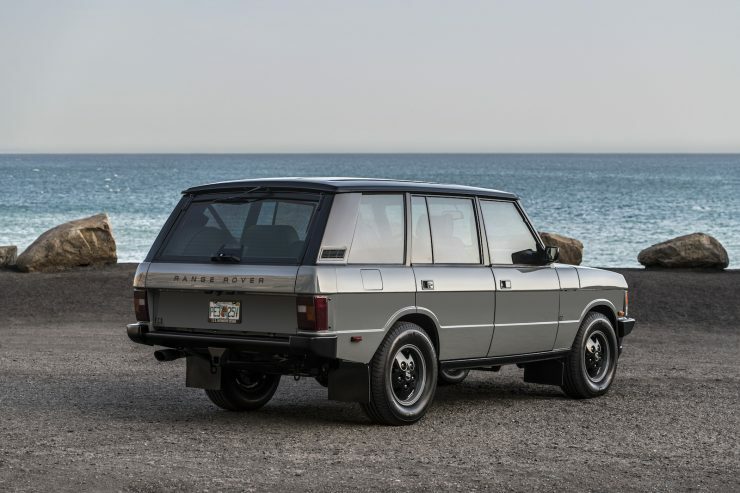 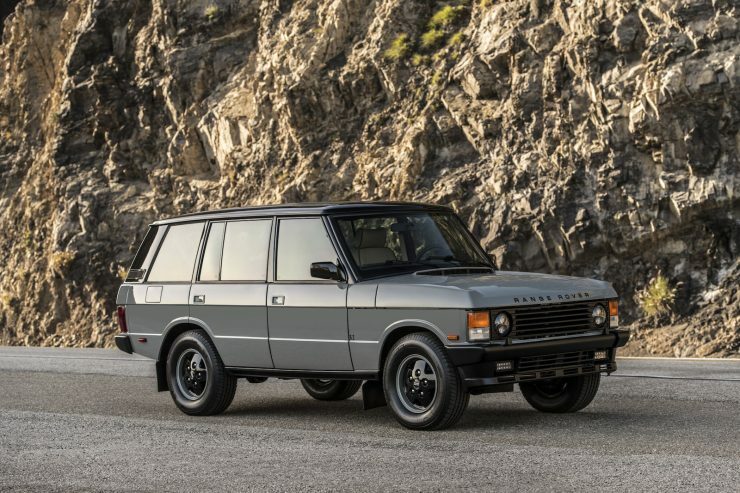 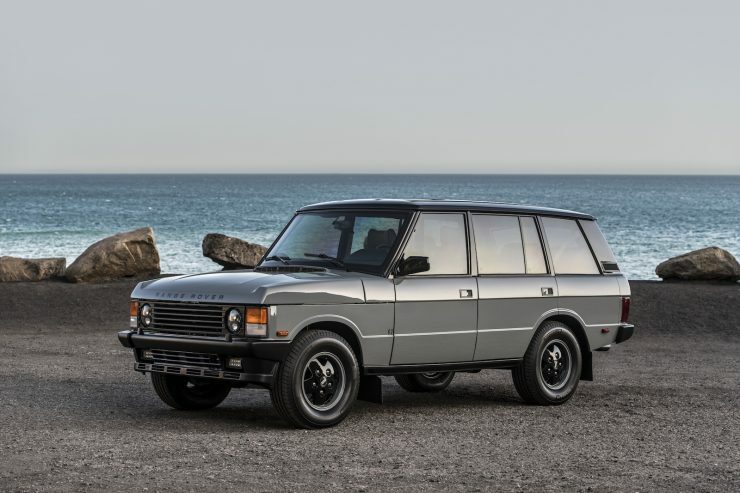 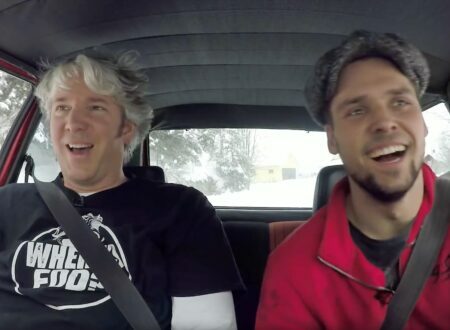 Dropping a 6.2 liter Corvette LS3 V8 into a Range Rover Classic may seem like sacrilege to some, but it actually makes a lot of sense. 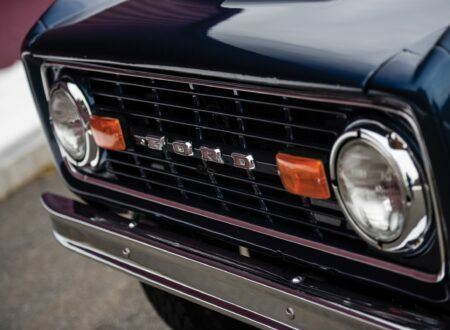 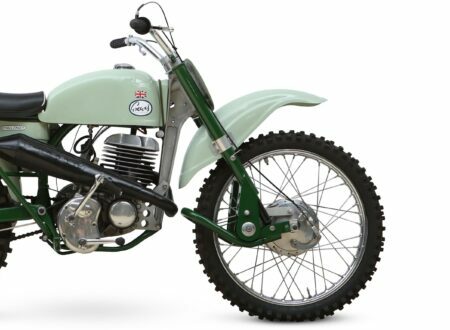 The original Rover Rover was powered by a Rover V8, which itself was based on a 215 cubic inch alloy Buick V8. 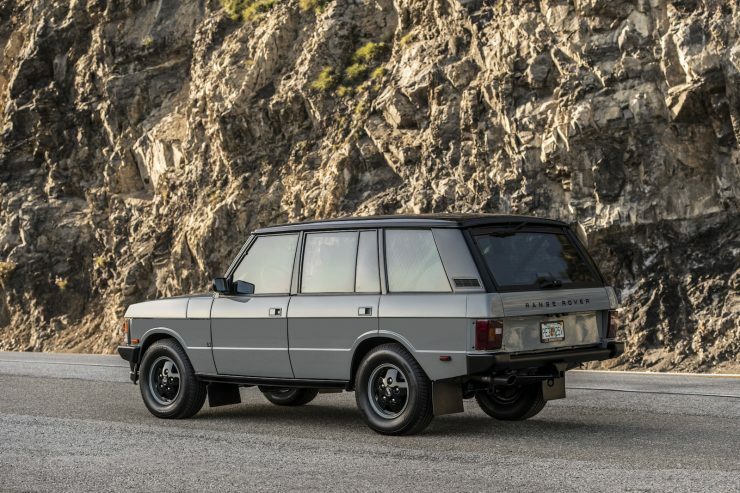 Buick and Chevrolet are both General Motors companies, so the modern Chevrolet engine shares some small part its DNA with Range Rover’s original power plant. 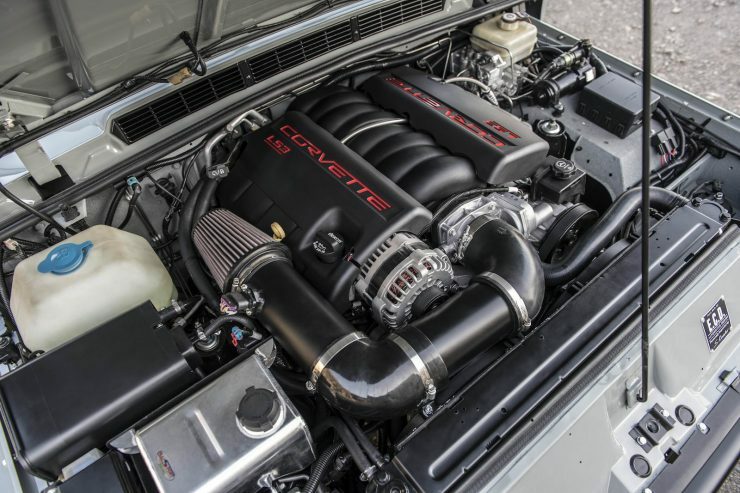 As it comes from the factory, the Chevrolet LS3 has an aluminum block and cylinder heads for low weight, Hypereutectic aluminum pistons, a compression ratio of 10.7:1, 425 lb/ft of torque at 4600 rpm, and 430 hp at 5900 rpm. 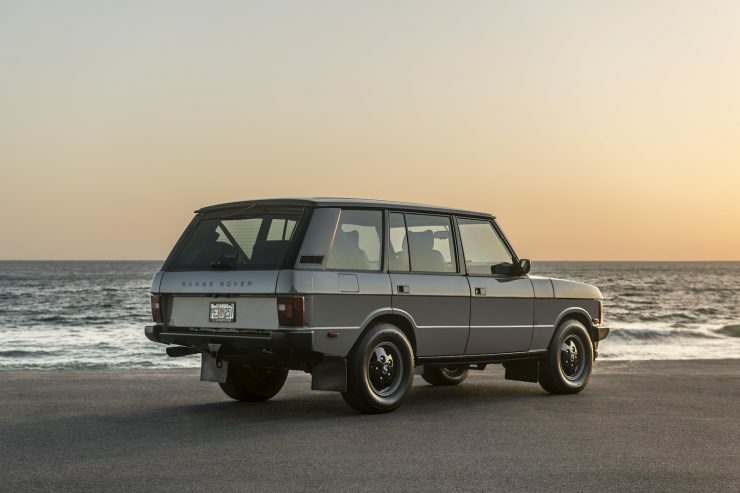 Far from being just a plain old engine swap, the Range Rover you see here has been comprehensively rebuilt by the team at E.C.D. Automotive Design – formerly known as East Coast Defender. 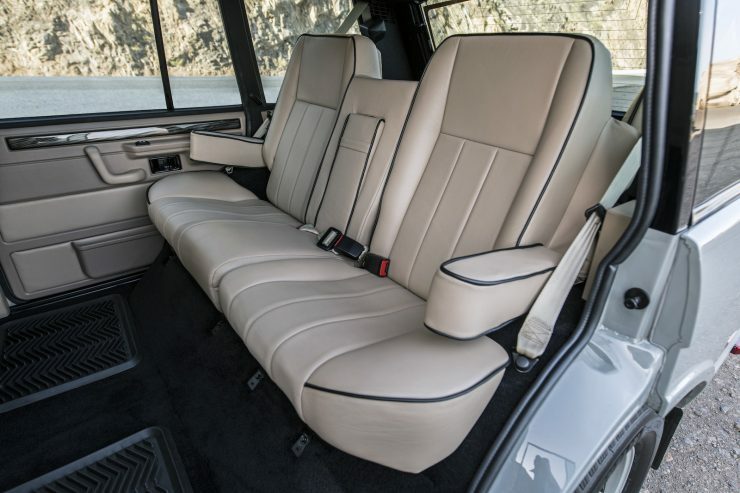 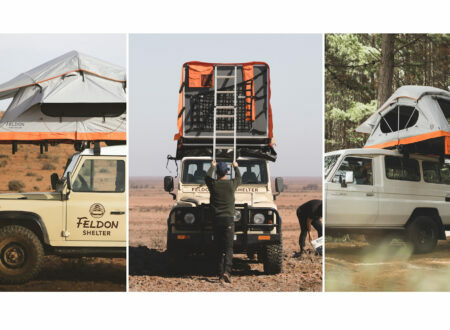 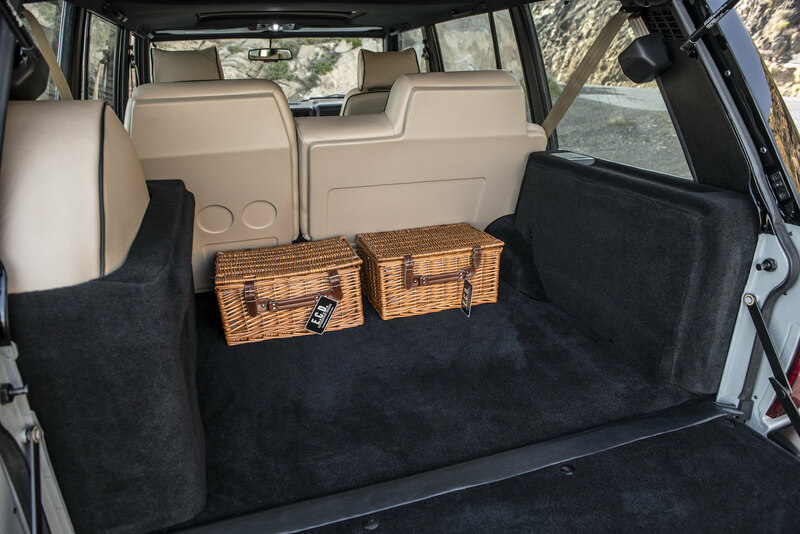 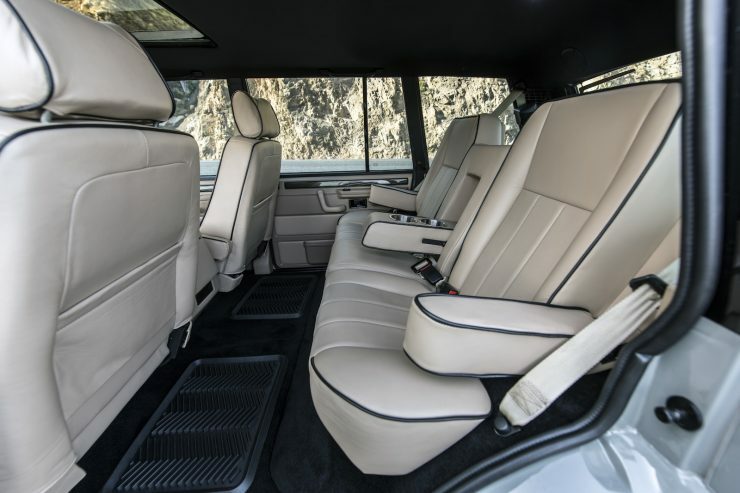 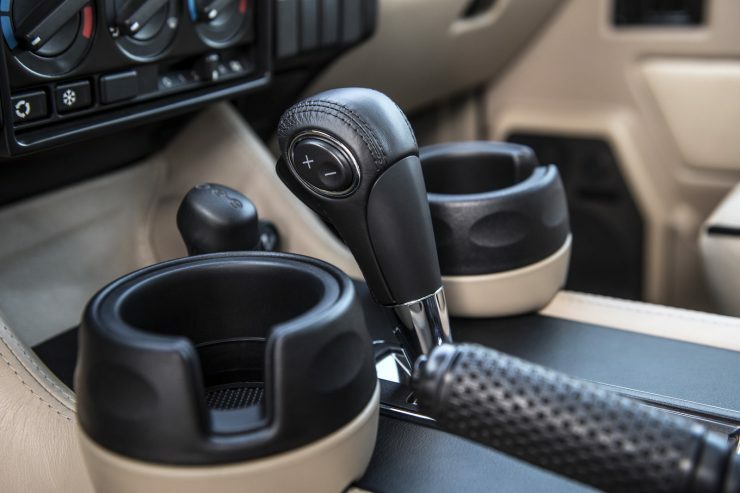 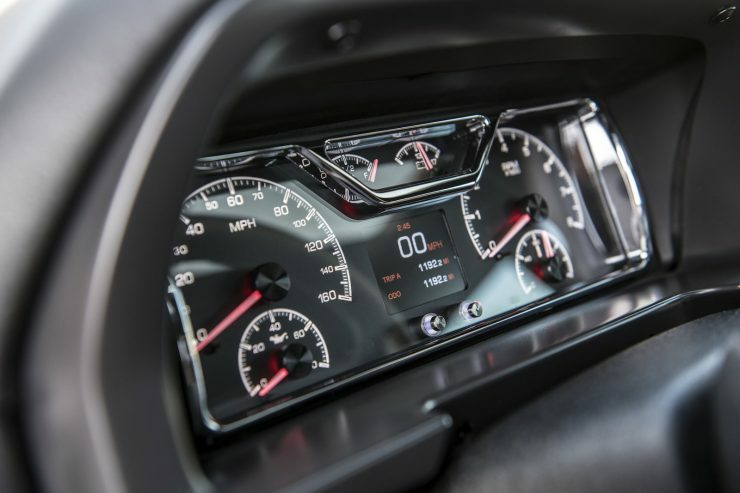 The company is one of the pre-eminent Land Rover customizers in the United States, it has 29 full-time employees and is made up of a mixture of Brits and Americans. 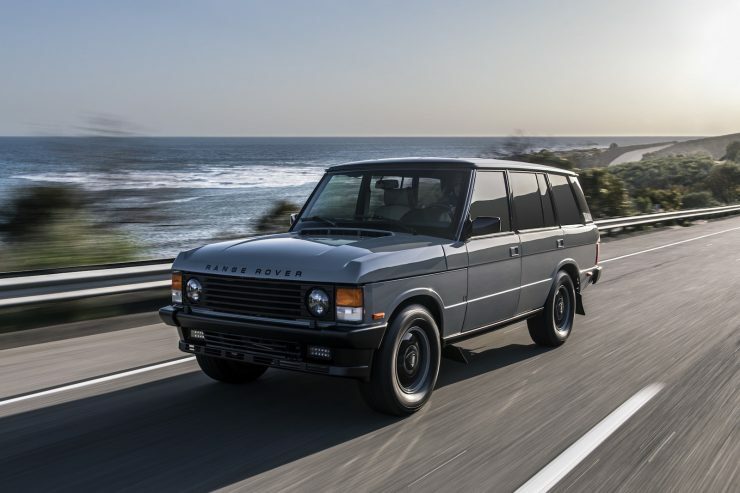 They’re based in Kissimmee, Florida, and they’ve built a significant number of bespoke Defenders and Range Rovers – all of which are quicker and more luxurious than any examples that left the factory in-period. 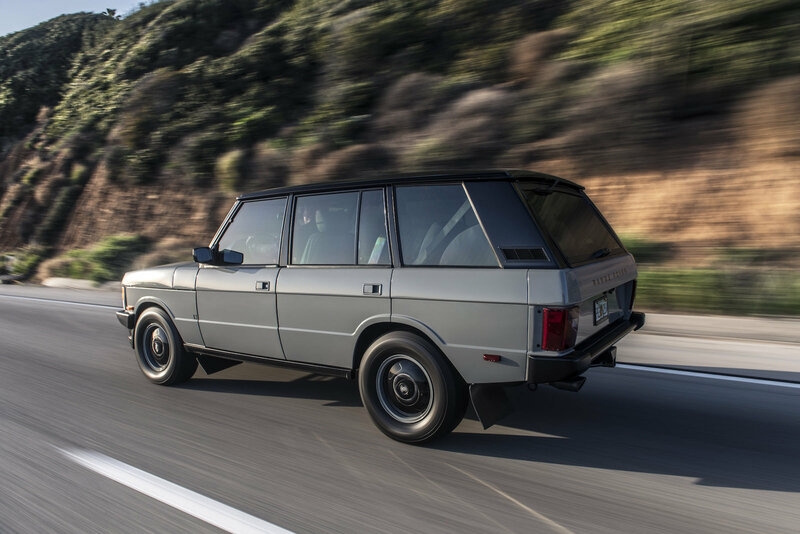 Dubbed Project Alpha, this Range Rover has been nut-and-bolt restored with a powder-coated frame, a repainted body, fully rebuilt and upgraded axles, a new suspension system (clients can choose from either performance or comfort), and a new performance braking system. The 6.2 liter Corvette LS3 V8 sends power to the wheels via a 6-speed automatic gearbox, the Range Rover maintains both high and low range abilities as well – vital for any serious off roading. 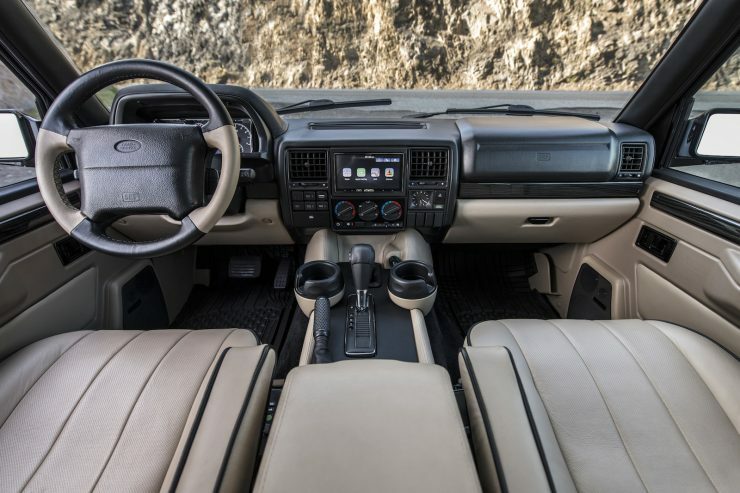 The steering system has been upgraded, and a tire pressure monitoring system is fitted as standard. The interior is completely rebuilt and retrimmed, the original seats are re-engineered, then reupholstered in Spinneybeck leather. This same leather is used for the dashboard and doors, and interior accent trim is available in ash wood, piano black, or carbon fiber. 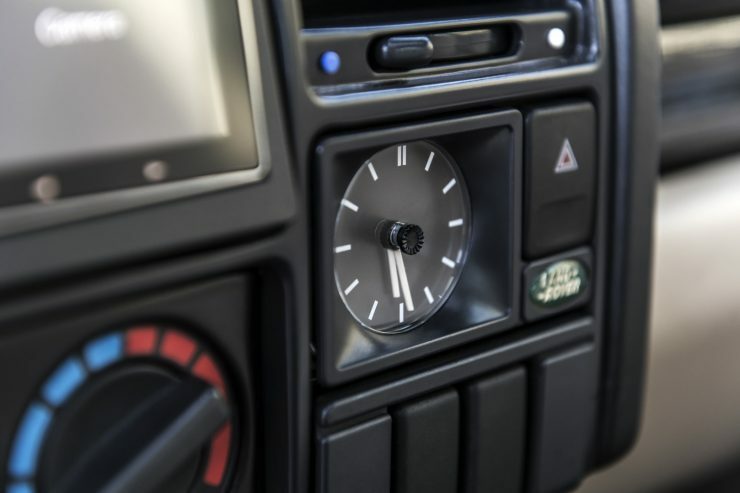 As you might imagine, the sounds system is markedly improved over the original AM/FM unit. 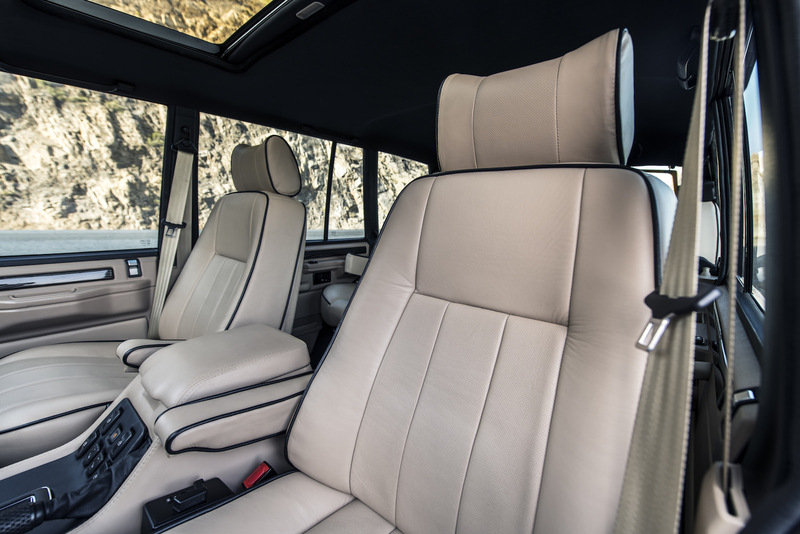 A full JLAudio system is installed with 8 speakers, an amplifier and subwoofer. 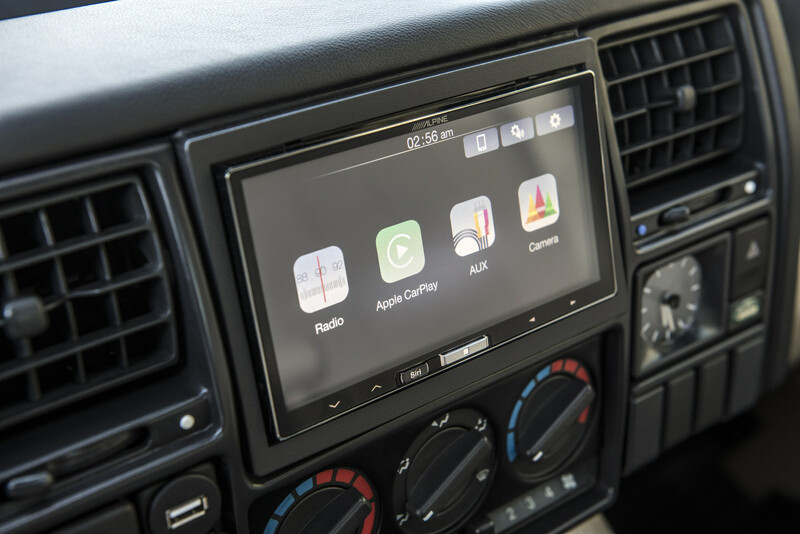 Wireless Apple CarPlay is also integrated, along with an Alpine infotainment system, front and rear air conditioning, in-car wifi, and a wireless charging pad for smart phones. 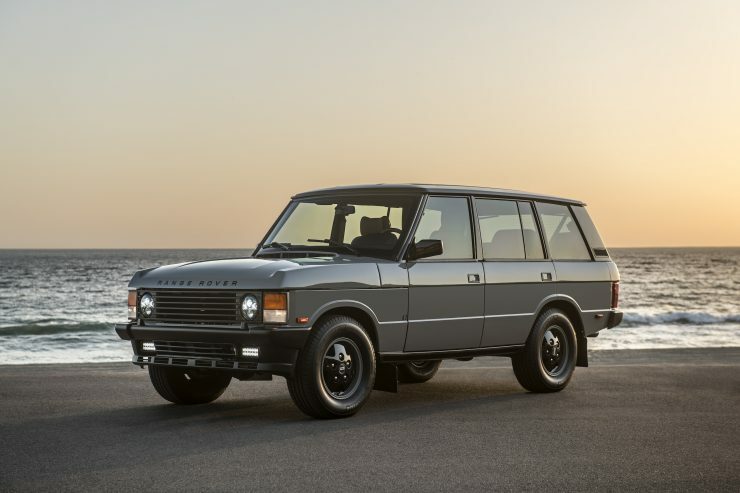 Customers can choose from either the long wheelbase four door Range Rover Classic or the short wheelbase two door model. 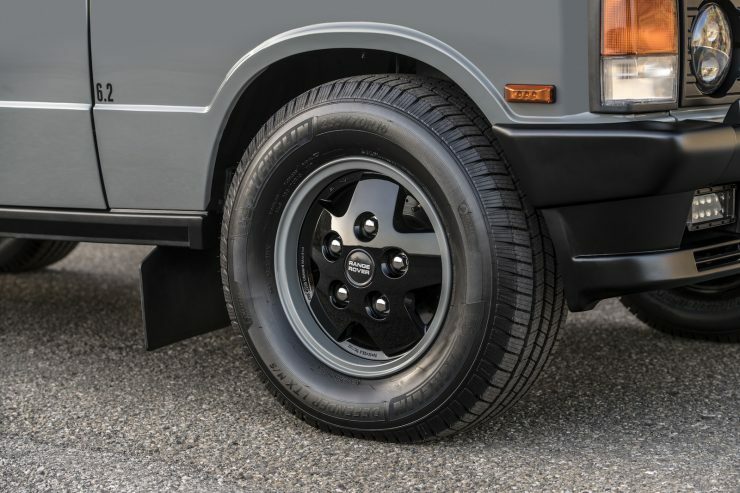 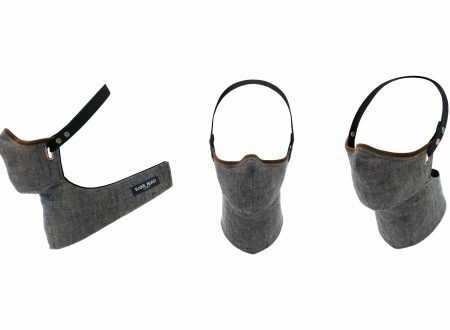 There are also three major model variants on offer from E.C.D. 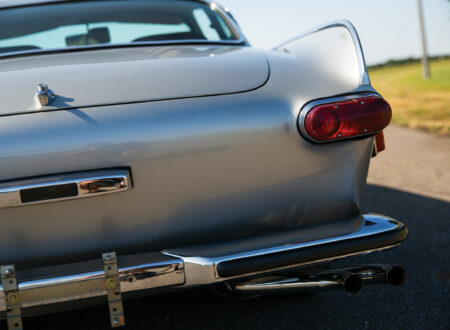 Automotive Design including the Pinnacle, the Pursuit, and the Retro, each offering different options and finish levels. 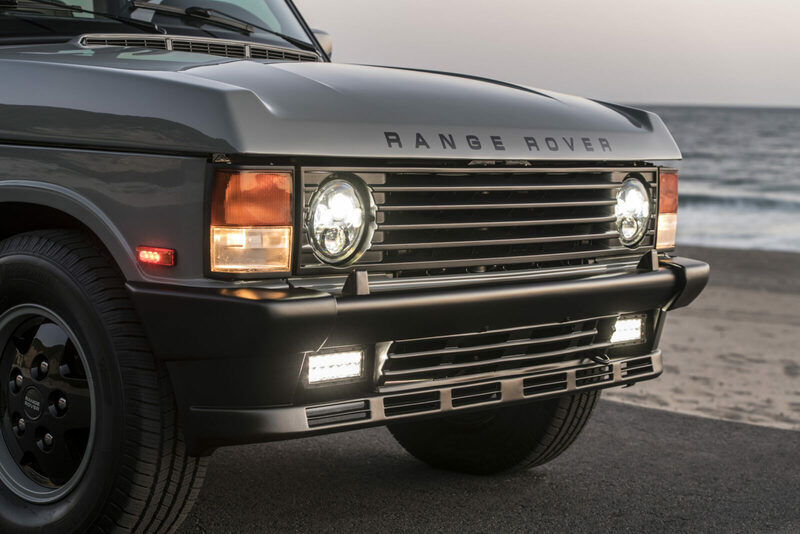 If you’d like to read more or enquire after getting your own bespoke Range Rover Classic built, you can click here to visit E.C.D. 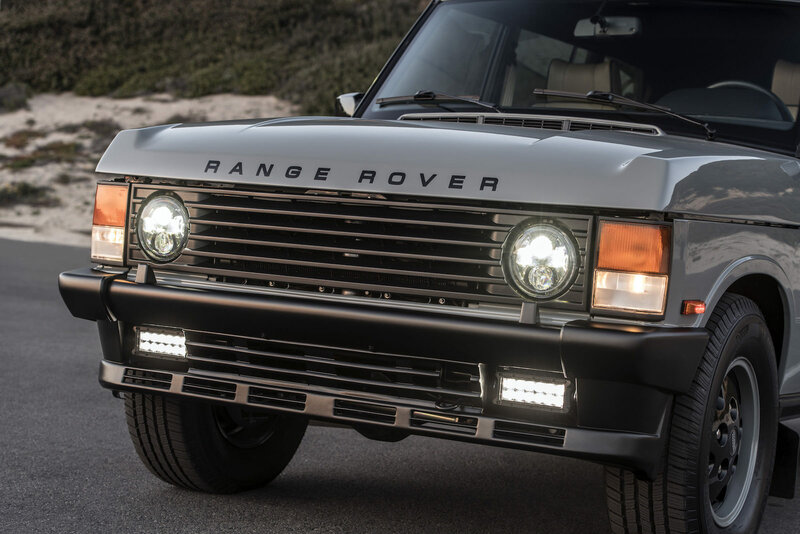 Automotive Design. 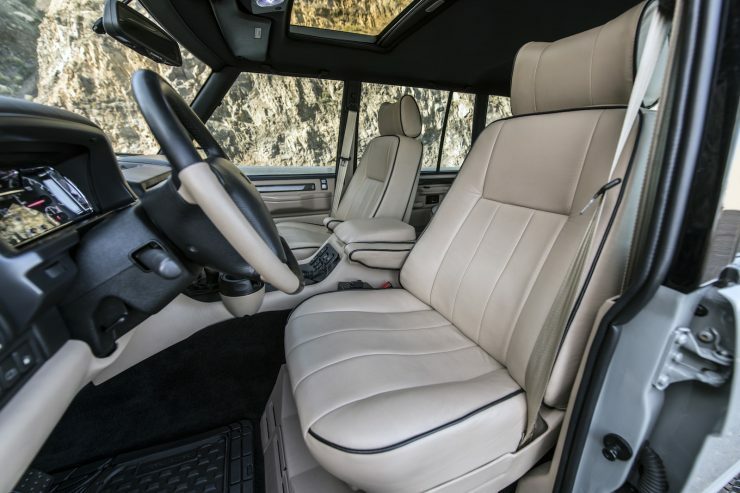 They have an online configuration tool that allows you to spec your own car, alternatively you can contact them directly to begin the process of having your car tailor made to suit your needs.